Picture this: You’re driving home from the casino and you've absolutely cleaned up – to the tune of $50,000. You see a police car pull up behind you, but you can’t figure out why. Not only have you not broken any laws, you’re not even speeding. But the police officer doesn’t appear to be interested in charging you with a crime. Instead, he takes your gambling winnings, warns you not to say anything to anyone unless you want to be charged as a drug kingpin, then drives off into the sunset. This actually happened to Tan Nguyen, and his story is far from unique. It’s called civil asset forfeiture and it’s a multi-billion dollar piggybank for state, local and federal police departments to fund all sorts of pet projects. With its origins in the British fight against piracy on the open seas, civil asset forfeiture is nothing new. During Prohibition, police officers often seized goods, cash and equipment from bootleggers in a similar manner to today. However, contemporary civil asset forfeiture begins right where you’d think that it would: The War on Drugs. In 1986, as First Lady Nancy Reagan encouraged America’s youth to “Just Say No,” the Justice Department started the Asset Forfeiture Fund. This sparked a boom in civil asset forfeiture that’s now become self-reinforcing, as the criminalization of American life and asset forfeiture have continued to feed each other. In sum, asset forfeiture creates a motivation to draft more laws by the legislature, while more laws create greater opportunities for seizure by law enforcement. This perverse incentive structure is having devastating consequences: In 2014 alone, law enforcement took more stuff from American citizens than burglars did. The current state of civil asset forfeiture in the United States is one of almost naked tyranny. Don’t believe us? Read on. Civil asset forfeiture has a deep history in maritime law. In many cases, it just wasn’t practical to bring owners of vessels carrying contraband in front of an American court. So customs enforcement would simply seize the contraband. But in practice, seizure of assets was rare and generally required a felony conviction in court. Often times these convictions were obtained in absentia, but the point is that there was a criminal proceeding and due process. During the Civil War, as part of sweeping attacks on liberty that included Lincoln suspending habeas corpus and obtaining an arrest warrant for the Chief Justice of the Supreme Court, supporters of the Confederacy had their property confiscated without due process. Civil asset forfeiture was used during the Prohibition Era to seize assets from bootleggers and suspected bootleggers. Even innocent owners had no defense during Prohibition if their property was used in violation of the Volstead Act. In 1984, civil asset forfeiture entered a new phase. The Comprehensive Crime Control Act, championed by then-President Ronald Reagan, allowed for police agencies to keep the assets they seized. This highly incentivized the seizure of assets for the purpose of funding police departments rather than pursuing criminal charges. However, the game changed completely in 1996 – the year of the landmark Supreme Court decision Bennis v. Michigan (516 U.S. 442). This ruling held that the innocent owner defense was not sufficient to recover assets seized during civil asset forfeiture. The plaintiff, Tina Bennis, was the joint owner of a vehicle with her husband John. The latter was arrested by Detroit police when caught with a prostitute on a street in Detroit, and the car was seized as a public nuisance. The court found that despite having no knowledge of the crime, there was no violation of either her property rights or her right to due process. Michigan’s law was specifically designed to deter people from using their assets in criminal activity, which the Supreme Court found to be Constitutional in a 5-4 decision. The Supreme Court likewise found that there was no right to compensation for Bennis. 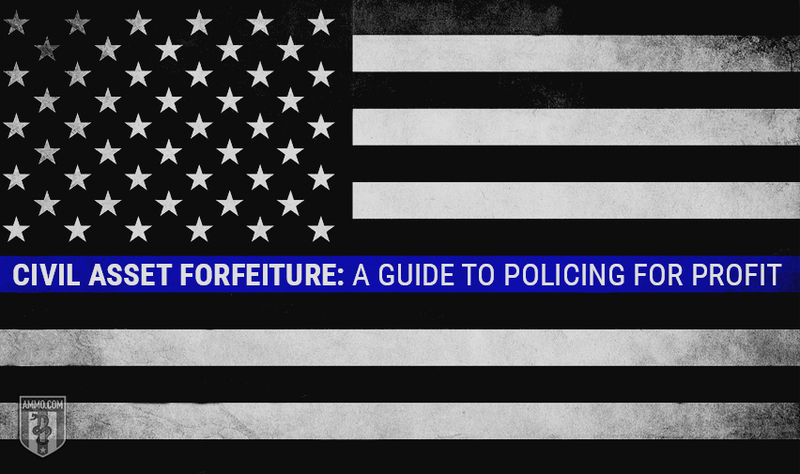 Before going any further, it’s important to delineate the differences between criminal asset forfeiture and civil asset forfeiture. The primary difference is that criminal asset forfeiture requires a conviction while civil asset forfeiture does not. However, there are other differences worth mentioning. 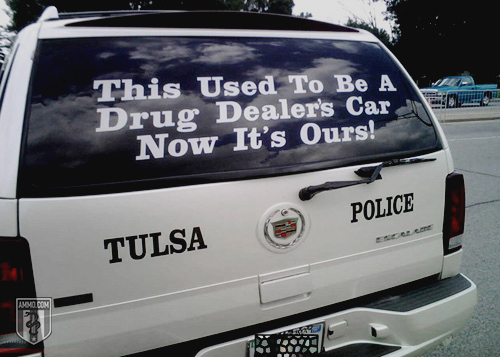 Civil asset forfeiture is a lawsuit against the seized object in question rather than a person. This leads to rather strange lawsuits like “Texas vs. One Gold Crucifix.” The legal burden of proof varies from one state to another, but the most common is preponderance of evidence, not reasonable doubt. What this means is juries decide if the state’s case is more likely to be true than not – not beyond a reasonable doubt. In a civil asset forfeiture trial, courts can weigh the use of the Fifth Amendment. This is not true in criminal trials. The burden of proof question becomes crucial when it comes to retrieving property. In criminal cases, assets are returned if the prosecution fails to prove the guilt of the accused. In a civil asset forfeiture trial, the accused effectively has to prove their innocence to get their property back. Thus, civil asset forfeiture is a highly attractive option for police departments looking to scare up extra scratch in tight budgetary times. What’s more, the accused is not entitled to legal counsel. This is why, in most cases, it’s not economically advantageous to try and get one’s property back. The lawyer fees will quickly eclipse whatever value the seized assets have. A 2015 study from FreedomWorks graded the states on their civil asset forfeiture laws. Only New Mexico received an “A,” after the state passed sweeping reforms with regard to its civil asset forfeiture processes. Over half the states received a “D” or less. To say that police departments are funding themselves with civil asset forfeiture is more true than you might think. Civil asset forfeiture has exploded since 1986, when total seizures were at $93.7 million. By 2005, this had passed the $1 billion mark. That was double the 2004 amount, $567 million. By 2010, this figure jumped to $2.5 billion with more than 15,000 forfeiture cases – 11,000 of which were civil, not criminal. By 2014, this figure climbed to $4.5 billion, with $29 billion seized between 2001 and 2014. Between 1985 and 1991, federal forfeitures increased by 1,500 percent, an increase of over 26 times. The Justice Department’s forfeiture fund (that does not include customs forfeitures) ballooned from $27 million in 1985 to $644 million in 1991. By 1996, this fund grew to over $1 billion for the first time. By 2008, it had tripled again to $3.1 billion. Cash seizures in Tennessee have gotten so widespread that the state legislature has begun investigating it. Traffic stops have turned into shakedown operations. Interstate 40 was described as “a major profit center” by Phil Williams, a reporter for Channel 5 in Nashville. Much like extra-legal gangs, police gangs in Tennessee have started engaging in turf warfare over the spoils of civil asset forfeiture. The Dixon Interdiction Enforcement (DICE) and the 23rd Judicial District Drug Taskforce were caught on video trying to cut one another off in their vehicles to stop civilians and search for cash. 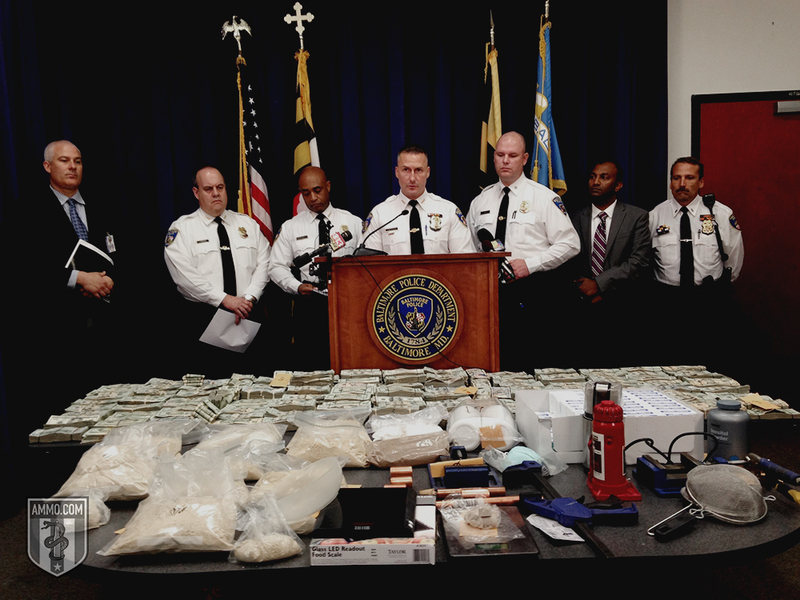 Indeed, officers were in danger of losing their jobs if they didn’t seize enough cash. The head of DICE admitted that it was funded entirely by civil asset forfeiture cash. Civil asset forfeiture isn’t just effectively a legalized form of theft. It also drives (and indeed, incentivizes) bad policing. There is ample evidence to suggest local smokies use civil asset forfeiture to pad their budgets. For example, a 1994 study found that police delay drug busts to increase the value of a forfeiture. A 2001 study of 1,400 police departments published in the Journal of Criminal Justice found that half of the departments surveyed agreed that civil asset forfeiture was “necessary as a budget supplement.” Far more disturbing is the 2004 report showing that police departments keep wish lists for items they wish to obtain via civil asset forfeiture. To provide some context, in 2014, the total amount of civil asset forfeiture seizures in the United States was $4.5 billion. The total value of property stolen in burglaries was $3.9 billion. This means that police agencies in the United States are taking more from the American public than burglars. More to the point, all the time police agencies use seizing assets from citizens who are in no way a danger to their neighbors is time they don’t spend tracking down actual criminals. In some cases, it might be more “profitable” for a police department to harass a law-abiding citizen while entirely ignoring dangerous criminals. Case in point: In Tennessee, officers set up a post to bust drug traffickers on a known highway used for muling drugs from Mexico into the United States. However, their post was not set up to stop the flow of drugs into the United States, which one would think would ostensibly be the goal of the “War on Drugs” – to protect American citizens from the inflow of drugs. Instead, the post was set up to bust cars bound for Mexico that might be carrying cash, a far more valuable commodity for the police departments. Let’s assume that you’re against the War on Drugs and against civil asset forfeiture on principle. So what? Who cares about big-time drug kingpins getting their assets seized by the government? Well, as it turns out, the police aren’t generally taking things from drug lords operating in what are effectively domestic war zones. They’re taking them from average Americans. First, it’s important to remember what the “civil” in “civil asset forfeiture” means. It means that no one has actually been convicted of a crime. Once property has been seized, it’s not only difficult to regain it, but it can also be dangerous for the person who has had their items effectively stolen by the police. Additionally, it’s worth looking at the scope creep associated with civil asset forfeiture, for which there are currently over 400 federal statutes on the books. This amount has doubled since the 1990s. People who are victims of civil asset forfeiture are many times not even suspected of drug crimes or money laundering. Civil asset forfeiture is applied to crimes like DWI or violating the National Halibut Fishing Act. In 85 percent of all cases, no one is ever charged with a crime, though many people are pressured into signing away their right to a defense in exchange for a guarantee against criminal prosecution. In the case of seized vehicles, between 50 and 80 percent were being driven by someone other than the owner when seized. In one particularly egregious example, a Philadelphia family had their home seized because their son did a $40 drug sale on the porch. In New York City, police seize money from people with as little as $100 in their pocket. A whopping 94 percent of California seizures in 2013 were for $5,000 or less, but the average DEA seizure in 1998 was $25,000 – precisely the cap on what attorneys advise against trying to reclaim due to legal fees and court costs. Indeed, 88 percent of Department of Justice seizures are “administrative,” meaning they were never challenged in court, likely due to the high cost and risk associated with challenging a seizure. In addition to the legal fees being prohibitively high for most people, anything you say in the course of recovering your property can be used against you in criminal proceedings. This includes the nebulous charge of “lying to investigators” that is so often invoked against people once it has been determined that they committed no other crime. It’s a rare moment when the American Civil Liberties Union and the Heritage Foundation come together, but when they do, it’s worth noting. Both oppose civil asset forfeiture. Sheriff’s deputies in Campbell County, TN tortured a suspect until he agreed to sign over his assets. In El Monte, CA, narcotics officers shot a 65-year-old grandfather as he knelt beside his bed. They then seized his life savings and hauled his family in for questioning before admitting that no one had any connection to the drug trade. Police in Bradenton, FL have a longstanding policy of coercing drug suspects into signing over their assets. 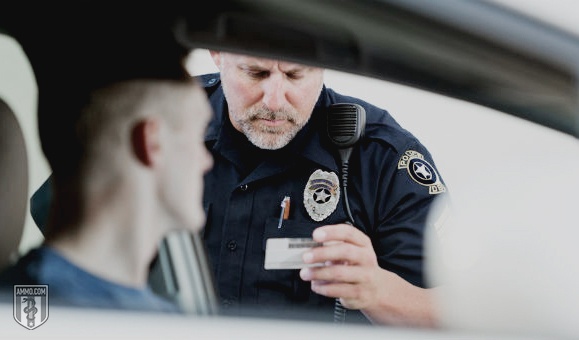 In many municipalities, it is policy to seize vehicles from intoxicated drivers who have had no criminal trial. Nightmarish scenarios aren’t necessary to show the tyranny of civil asset forfeiture, however. While losing a Honda Civic with a market value of $1,000 might not sound like a huge tragedy to you, it certainly is to the woman who has to use the vehicle to get to and from her waitressing job every day. One of the most disturbing aspects of civil asset forfeiture is what some have called “the war on cash.” Put simply, don’t be caught with a large amount of cash in your vehicle, even if it’s 100 percent legal, unless you wouldn’t mind a budget-strapped local police department taking your wad. 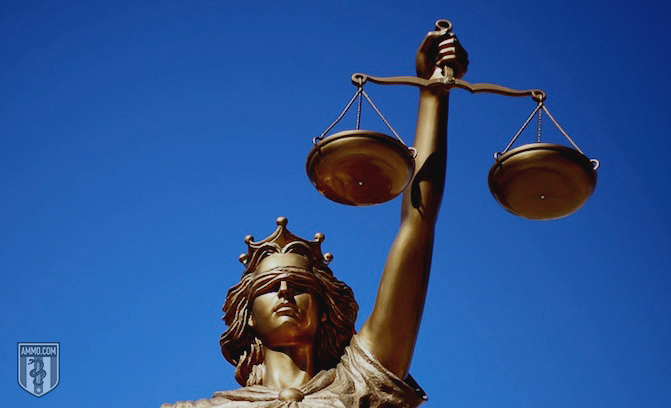 United States courts have repeatedly ruled that simply having a large amount of cash on hand is “strong evidence” of criminal wrongdoing, in particular drug trafficking. Then it’s up to you to prove you didn’t get the money from drug trafficking, and even then you probably won’t get it back. The Patriot Act created a new crime called “bulk cash smuggling,” which expanded the scope of civil asset forfeiture of cash. Confiscated cash has also gone to local Chamber of Commerce chapters, youth baseball leagues, and local Baptist churches. Civil asset forfeiture is big business and many times only tangentially related to law enforcement, if at all. But how does the process work? Proceeds: Anything of value obtained through the commission of a crime. Facilitating Property: Anything used in the commission of a crime, including property and assets used to hide a crime or make its commission easier. Property Involved In: This is generally property used in money laundering (for example, a cash-based business). This property can be real or imaginary, anything from cold, hard cash to intellectual property rights, websites, interests, claims and securities. However, it must be connected – in theory, at least – to some crime that has been committed. Different states have different standards of proof when it comes to civil asset forfeiture. Unsurprisingly, states with a lower burden of proof tend to seize more assets. Likewise, states with the fewest restrictions on how the money can be used tend to seize more. Prima Facia / Probable Cause: This is the lowest level of proof required, which is little more than what might be required to search your car after a traffic stop. This is the standard in nine states (Alabama, Alaska, Delaware, Illinois, Massachusetts, Missouri, Rhode Island, South Carolina, Wyoming). Clear and Convincing: “Clear and convincing” is a higher standard of proof. Rather than just “more likely true than not,” the evidence must be compellingly more likely to be true than not. 11 states use this standard of proof alone, or in combination with preponderance or beyond a reasonable doubt. 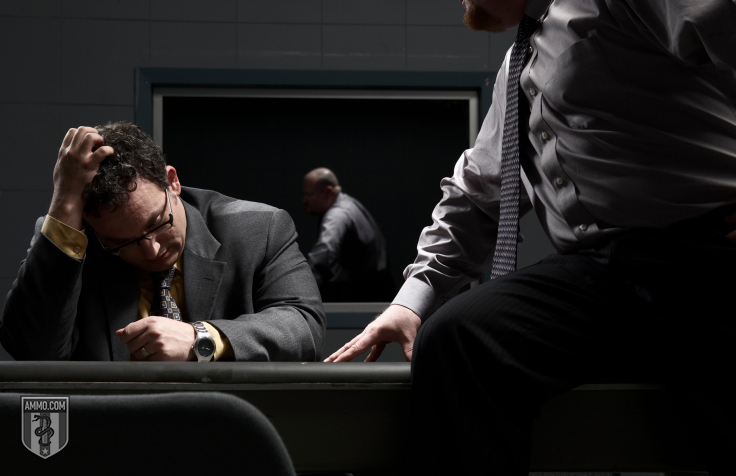 In Florida, criminal charges are required for seizure. Montana and, most recently, New Hampshire, require a criminal conviction for forfeiture. One state, New Mexico, has abolished the practice entirely. Civil asset forfeiture laws and procedures vary widely from one state to another. If you’re an innocent victim looking to get your goods and cash back, the process to do so can be byzantine and obscure. At the federal level and in 35 states, the burden of proof is on the owner. In five states, it depends on what kind of property was seized. In the remaining states and the District of Columbia, the burden of proof is on the government. In some states, fighting seizure in court means the risk of paying the state’s legal fees. In half of all states, law enforcement keeps 100 percent of all forfeited assets. In an additional nine states, 80 percent or more is retained by law enforcement. Police force targeted black and Latino motorists on Highway 84. The highway connects Houston with Louisiana casinos. In three years, Tenaha police stopped 140 drives for forfeiture. Drivers who refused were hassled for months and paid thousands in attorney fees. The fees generally cost more than the value of the seizure. Court records were found indicating that in 200 seizure cases, only 50 were charged. District Attorney Ron Sutton used forfeiture to pay for travel to a conference in Hawaii. The funds also paid for 198th District Judge Emil Karl Pohl’s travel. Pohl approved the expenditure and later resigned. This is the county including Tenaha. District Attorney Lynda Kay Russel paid for tickets to a Christmas parade and a motorcycle rally using forfeiture money. As if civil asset forfeiture wasn’t bad enough on its own, there is also a process allowing police organizations to circumvent the existing laws. It’s called equitable sharing and it’s a gold mine for both the federal government and police departments. This process further incentivizes civil asset forfeiture as a means of funding police departments at the federal, state and local levels. Here’s how it works: state and local law enforcement turn assets over to federal authorities for federal crimes. The feds then return up to 80 percent of the assets back from whence it came. This effectively allows state and local authorities to circumvent relevant local laws by bringing in the feds. For example, in Missouri, seized money is supposed to go to the schools. When equitable sharing is used, nothing goes to schools. From 2000 to 2013, equitable sharing payments to states tripled from $198 million to $643 million. Only $3 million of this was actually seized in cooperation with federal authorities. Between 2008 and 2015, $5.3 billion was seized through equitable sharing. Where the burden of proof is higher, equitable sharing payouts increase. In 2009, the federal government paid out $500 million in assets under “equitable sharing” schemes. This is up 75 percent from the previous year. The top states for equitable sharing payouts (even when controlling for the number of drug arrests) are Rhode Island, California, New York and Florida. South Dakota, North Dakota and Wyoming are the states using the program the least. Civil asset forfeiture might be a powerful tool for law enforcement to go after bad guys (and the word “might” is doing a lot of work there), but it suffers from a terrible lack of transparency. Only 11 states (Oregon, California, Minnesota, Missouri, Arkansas, Hawaii, Michigan, Georgia, New York, New Hampshire) and the federal government put any forfeiture information available. Three states and the District of Columbia were on track to put forfeiture information online (Nevada, New Mexico, Texas). The remaining states require public records requests or keep no records at all. Where information is available, it often lacks details like the percentage of criminal versus civil forfeitures or the type of property seized. When spending categories are included, they tend to be very broad, such as “equipment” or “salaries.” For its part, the federal government carefully tracks the type of property, but does not release statistics on which seizures involved convictions. The Institute of Justice found most state records it could actually obtain to be unusable. Everything that’s not salary is incredibly opaque. For example, the aforementioned margarita makers could easily be filed under “equipment,” to say nothing of the totally nebulous “other” category. Arizona: In April 2017, the Arizona State Legislature unanimous passed civil asset reform legislation. The language of the bill is vague, however, it does raise the burden for civil asset forfeiture on police departments. The legislation likewise takes steps to close the equitable sharing loophole. California: In January 2017, new legislation took effect requiring a criminal conviction to seize any assets below $40,000. This limit is high because the main reason people do not challenge civil asset forfeiture is due to the property seized often not being worth the legal fees that would be involved in getting the goods back. Connecticut: Connecticut now requires an arrest for assets to be seized through civil asset forfeiture. Barring a conviction or a guilty plea, assets must be returned at the end of criminal proceedings. Georgia: The State of Georgia passed very modest civil asset forfeiture reform in 2015. The law created greater transparency in the process and required that seized assets be used directly for law enforcement. No more margarita machines. Despite these reforms, Georgia continues to have some of the worst civil asset forfeiture laws in the nation. Minnesota: The Metro Gang Strike Force settled with 96 victims in 2009 for $840,000. In the wake of this scandal, the state legislature passed SF 874, a sweeping reform of the state’s civil asset forfeiture laws. Criminal conviction or an admission of criminal conduct is now required in Minnesota to seize assets. The burden of proof was also shifted to the state. 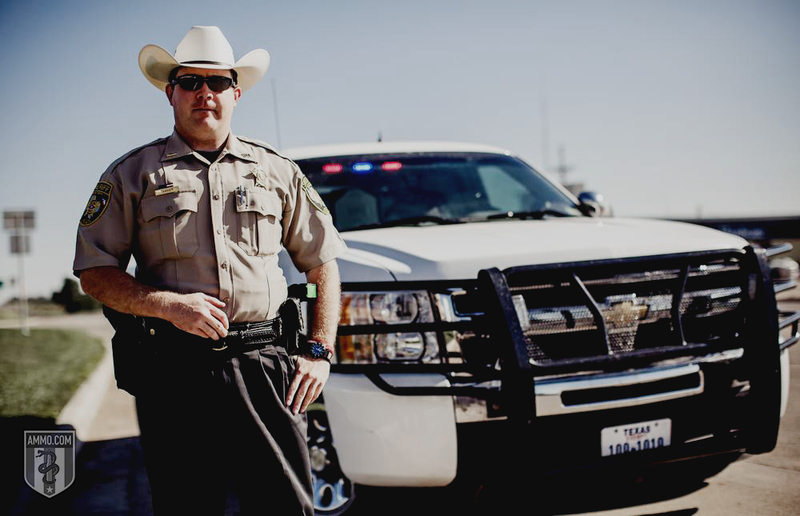 New Mexico: The Land of Enchantment passed what are perhaps the most sweeping reforms of civil asset forfeiture in the nation. Criminal convictions are required for forfeiture and the proceeds now go into the state’s general fund rather than acting as spoils for the seizing police department. The legislation sharply limited the degree to which local and state agencies can participate in the equitable sharing program. Pennsylvania: In June 2017, Pennsylvania passed legislation raising the burden of proof on police departments involved in civil asset forfeiture cases and created innocent owner protections. A hearing is now required to seize property. Tennessee: Former state trooper and state Rep. Barrett Rich introduced a bill requiring a warrant, but this bill failed to pass. An amended version did pass, however, with far more modest reforms including the right to an immediate hearing before a judge. Previously, victims of civil asset forfeiture had to wait up to a year. In addition to state reforms, the judiciary is becoming increasingly critical of civil asset forfeiture. In June 2017, the DC Circuit Court of Appeals ruled in favor of civil asset forfeiture victims. What’s more, Supreme Court Justice Clarence Thomas delivered a scathing critique of civil asset forfeiture as a whole in March 2017. 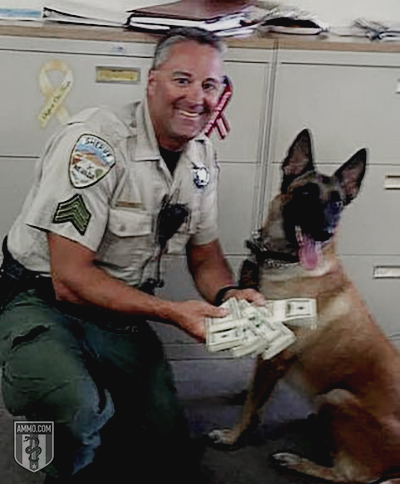 While rejecting the victim’s appeal on procedural grounds, he called into question the entire existence of civil asset forfeiture as it currently exists. Establish innocent ownership. If you rent property, include a clause stating that illegal behavior is prohibited on your property. Be careful who you rent your property to. If you don’t trust someone completely, don’t let them borrow your car or house sit for you. Keep your LLC property on the up and up. It’s increasingly common for people to own property through an LLC. If you do this, make sure that all the legal i’s are dotted and t’s are crossed in terms of establishing your ownership. Exercise dominion over your property. You can protect your rental property by regularly visiting it and documenting these visits. Obtain fresh notes for any large amounts of cash. Nearly all circulated currency has drug residue on it, which is often used as evidence of criminal wrongdoing in civil asset forfeiture suits. You can protect yourself by requesting fresh notes when you go to the bank. 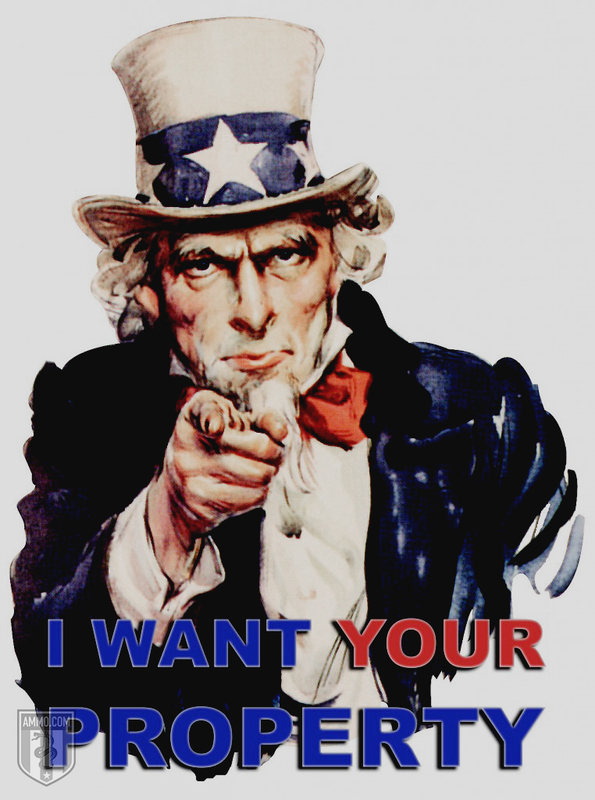 Show that you have taken active steps to prevent illegal activity on or with any property that you own, rent or lend. It won’t protect you completely, but it will give you a legal leg to stand on if you ever end up on the wrong side of a greedy police department. While civil asset forfeiture is certainly scary to anyone who values liberty and property, much like the War on Some Drugs, the tide seems to be turning in favor of liberty and against those who wish to take it.